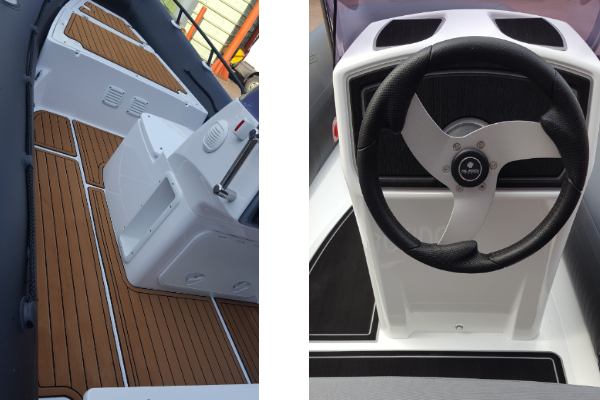 SeaDek non slip marine flooring. The original and best USA supplied non slip decking product. Wet Bristol Marine can template, supply and install SeaDek products to any Boat, RIB, Canoe, Yacht or Tender. 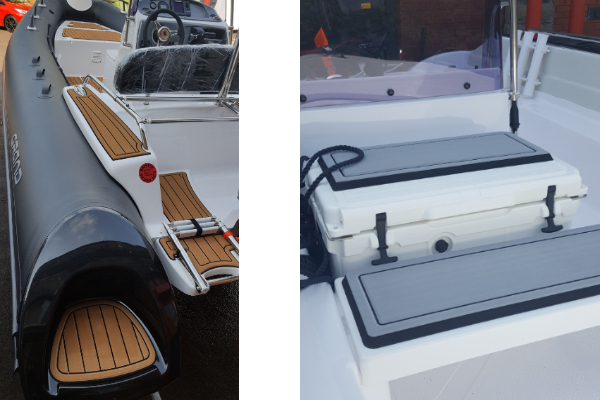 SeaDek features an exclusive 3M adhesive backing making installation on GRP, Aluminium, Timber, Plastics straight forward and easy. We can provide a full templating, Design, preparation and Installation service. 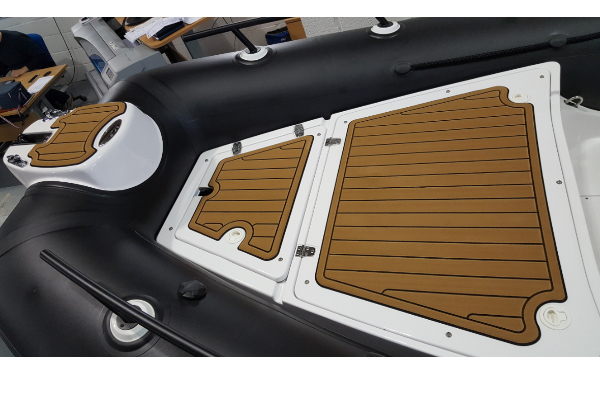 All SeaDek installations can be supplied with a custom name, logo or text either Laser etched or CNC machined into the surface. 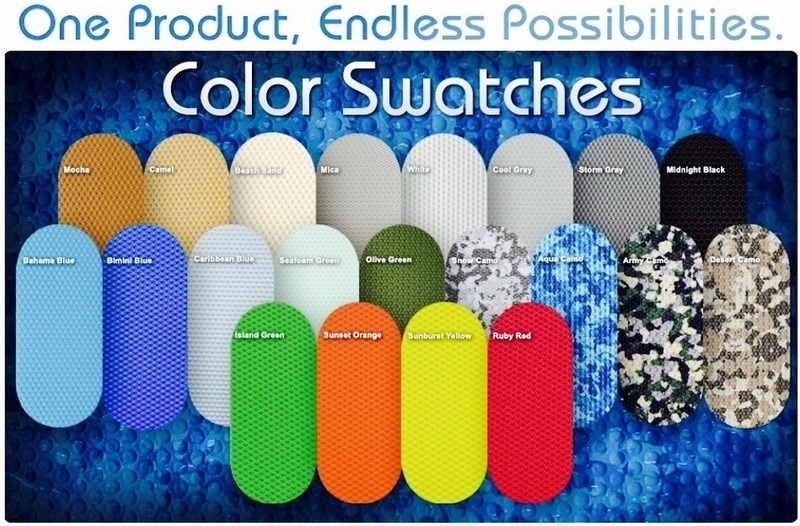 The choice of colours can be supplied in single layer, double layer and triple layer making the possibilities of tailoring the product to any and every type of Marine or Recreational usage. To achieve a Faux teak look you would combine either a Cappucino or Mocha with Black sheet, When the CNC process is completed this gives the planked timber effect. SeaDek is supplied as a sheet product measuring 200cm x 100cm all quotes and installations are priced per sheet to include machining, Templating and installation. We work very closely with SeaDek UK and offer a custom service high in quality but go the extra mile to acheive great results. For more information please feel free to CONTACT US or call 07580777467 for more details.